TSA-222 10x Optical Comparator allows for convenient identification of sieve opening sizes and close examination of the wire cloth condition. 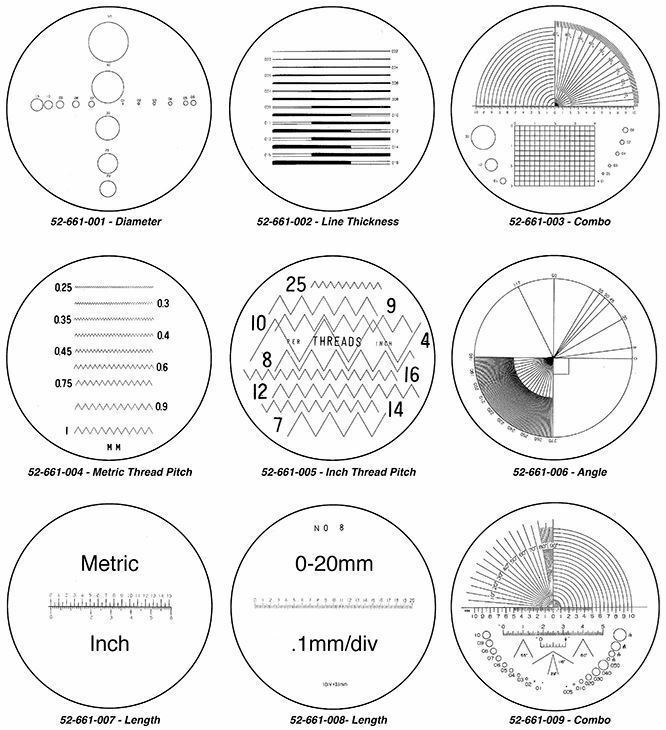 The comparator has precision scales in inch and millimeter units that are photo-etched on 1.2in (30.5mm) diameter interchangeable glass reticles with screw-in mounting. Magnified images are sharp, undistorted and free of aberrations. 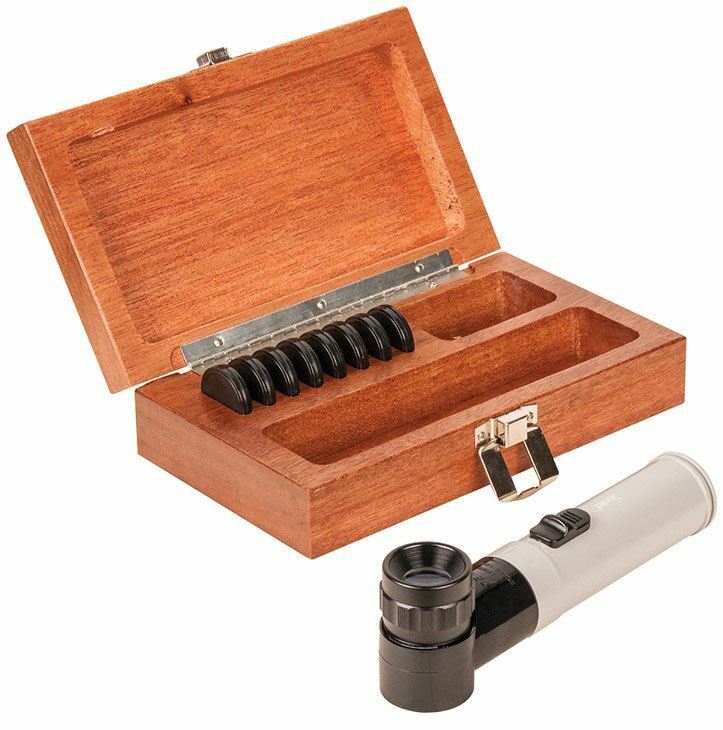 The Comparator is packed in a wooden case with nine reticles included to measure distance, radii, diameters, angles, hole sizes, pitch and thicknesses. An illuminating attachment for low-light conditions is also included, and requires two C-size batteries for operation. Not effective for acceptance verification of wire cloth openings.